In recent years, in some circles, May 4th has come to be considered Star Wars Day (as in, yes, “may the fourth be with you”). This year, in collaboration with (Disney‘s) LucasFilm, CBS‘ top-rated sitcom, The Big Bang Theory, will be doing a special episode to commemorate the occasion. As has been reported by The Hollywood Reporter, the episode’s title is “The Proton Transmogrification,” and it will air on May 1 (itself, sort of like Star Wars Day, except for nerdish fans of workers’ rights; as opposed to the works of George Lucas). The episode will feature a guest appearance from legendary comedian, Bob Newhart (PeekYou profile here), and — thanks to help from LucasFilm‘s Industrial Light & Magic — a reproduction of the swamp planet of Dagobah; first seen in the Star Wars film, The Empire Strikes Back. 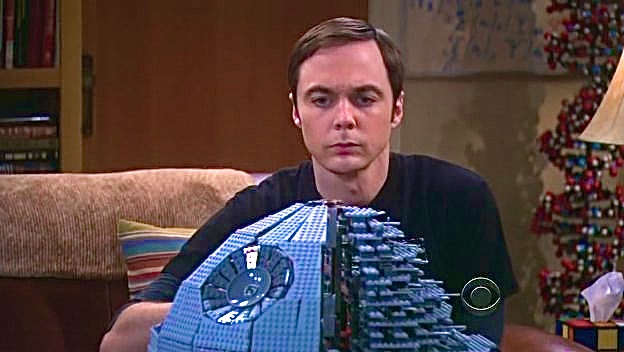 Click here for a list of previous Star Wars references in TBBT. And click the links below to visit the stars’ of The Big Bang Theory‘s PeekYou profiles, and see the very best of what the Web has to offer regarding them and their careers; including social pages, homepages, videos, photos, articles, interviews, and much more.